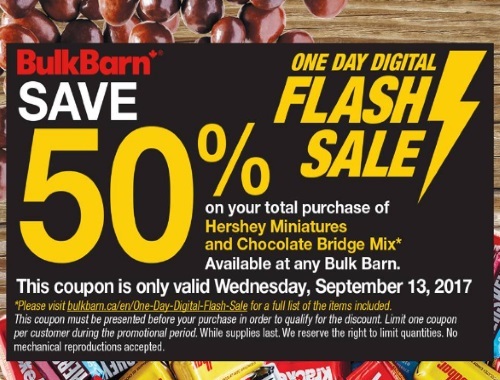 Bulk Barn has another one-day digital flash sale! Save 50% off Hershey Miniatures & Chocolate Bridge Mix! Offer is valid Wednesday, September 13, 2017 only. Must present the coupon in order to get the discount.